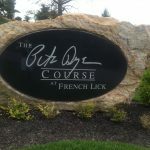 Dave Harner, director of golf at the French Lick Resort in southern Indiana, looked for a big event to spotlight the stunning Pete Dye Course when it opened for play in 2009. He ended up establishing the premier event for the LPGA’s Legends Tour – the only 54-hole event on the circuit for women professionals 45 and over. 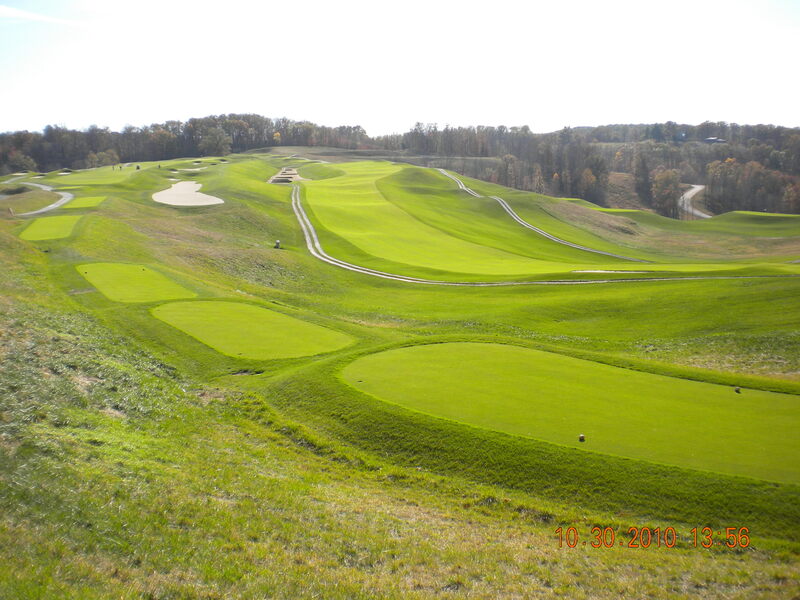 The first Legends Championship was played in 2013 on the Dye-designed layout built on one of the highest points in the Hoosier state. 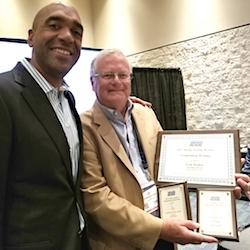 That event quickly became something special, as the Legends Hall of Fame opened the same week as the tournament in the historically-rich West Baden Springs Hotel nearby. And that wasn’t all. French Lick was subsequently awarded the Senior PGA Championship presented by KitchenAid, which will come to the Dye Course next week. (Tournament rounds are May 21-24). That means that French Lick will be the only facility to host major championships on both of the senior tours in the same year. The Senior PGA is the first of the five annual majors for the men’s Champions Tour and the third Legends Championship will be played on the same course from Aug. 28-30. Given French Lick’s recent involvement with the top senior players, it would seem to be a leading contender to host the first U.S. Senior Women’s Open when that event makes its debut on the U.S. Golf Assn. championship schedule in 2018. The site for that event hasn’t been announced yet, but the LPGA Legends know the Dye Course well. Sherri Steinhauer posted a course-record 63 in last year’s Legends Championship. The men, though, haven’t had a good look at it yet. 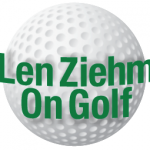 Kerry Haigh, chief championship officer for the PGA of America, checked the facility out as did Colin Montgomerie, who will defend his Senior PGA Championship next week. They were impressed. “There’s not a weak hole on the course and that’s the sign of a great golf course,’’ said Montgomerie, who won his first major title in the 2014 Senior PGA at Harbor Shores in Michigan. That’ll be the site of the tournament again in 2016. “I want to take the trophy back to Harbor Shores,’’ Montgomerie said. He could do it, too, but the field will be strong and the tourney has been kind to lesser-known players in recent years. England’s Roger Chapman won at Harbor Shores in 2012 and Japan’s Khoki Idoki was the champion at Bellerive in St. Louis in 2013. Spectacular views are the norm at French Lick’s Pete Dye Course. The Senior PGA, first played in 1937, has never been contested in Indiana but a former French Lick pro, Willie Goggin, was the tourney champion in 1959. French Lick had its share of majors in its early years, too. Walter Hagen won the first of his four straight PGA Championships there in 1924 and Mickey Wright and Betsy Rawls won LPGA Championships there in 1959 and 1960. Hagen, Wright and Rawls, though, won on what is now French Lick’s Donald Ross Course. A NEW TREND FOR U.S. AMATEUR? The U.S. Amateur will be played at Olympia Fields in the Chicago area from Aug. 17-23 and will visit other tradition-rich private clubs in 2016 (Oakland Hills in Michigan) and 2017 (Riviera in California). Then things seem to be changing with resort facilities taking precedence. The U.S. Golf Assn. had previously assigned the 2018 U.S. Am to California’s Pebble Beach and then last week announced that Pinehurst in North Carolina would host in 2019 and Bandon Dunes in Oregon would be the site in 2020. 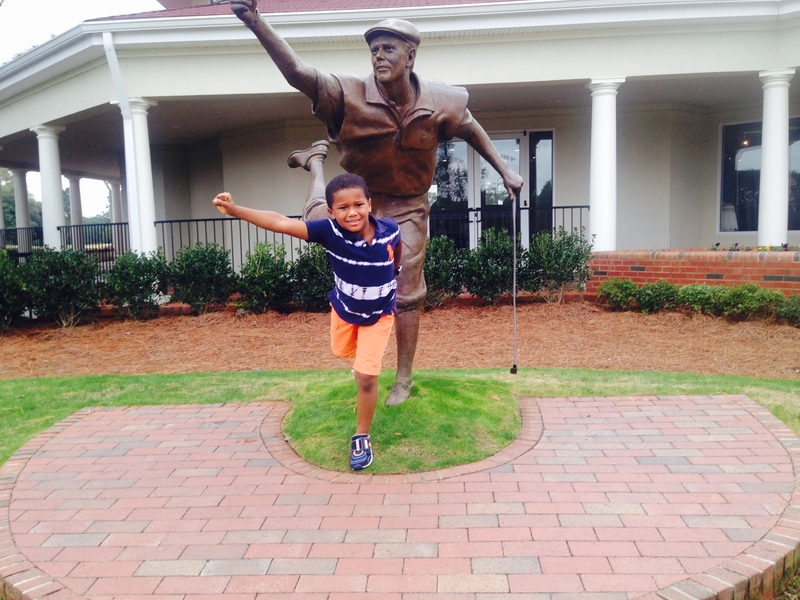 More visitors will have fun at the Payne Stewart statue when the U.S. Amateur returns to Pinehurst in 2019. Pinehurst has already hosted 10 USGA championships, including both the U.S. Open and U.S. Women’s Open in 2014, and this will be the resort’s third U.S. Amateur. The famed No. 2 course will be the site of both the stroke and match play portions of the tournament with the No. 8 course the companion layout for stroke play competition. Things aren’t as set at Bandon, which has hosted six USGA championships since 2006. Bandon has four courses, all of which are already established tournament venues. The two that will be used for the U.S. Amateur will be determined at a later date. BITS AND PIECES: The PGA Tour’s Greenbrier Classic will have – according to owner Jim Justice — “unquestionably the best Greenbrier Classic in our tournament’s history.’’ Committed players for the July event in White Sulphur Springs, W.Va., already include Tiger Woods, Bubba Watson and Brandt Snedeker and Justice has announced that Keith Urban and the Band Perry will perform at the July 1 pre-tourney concert….Keswick Hall, home of Pete Dye’s latest architectural creation – Full Cry in Charlottesville, Va., has reached an exclusive agreement with Bob Rotella, the noted psychologist and performance coach. Full Cry, which opened to rave reviews last fall, has announced its first stay-and-play packages and Dye has declared the layout “as good as any I’ve done.’’…..Concession Club, the Bradenton, FL., site for the upcoming men’s and women’s NCAA finals, has set the dates for its second Concession Cup – a biennial amateur team match play event for mid-amateur and senior golfers from the U.S. and Great Britain-Ireland. The U.S. won the first Concession Cup 21 ½-14 ½ in 2014. 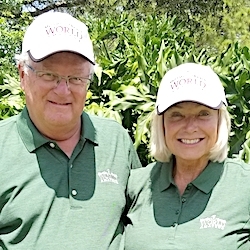 The second is April 20-24, 2016, with Vinny Giles (U.S.) and Garth McGimpsey (GB-I) returning as the team captains…..Forest Dunes, in Roscommon, Mich., has opened its popular Tom Weiskopf-designed course and announced its new golf packages. Those who visit, though, will be sure to check out architect Tom Doak’s reversible design layout that is now under construction. 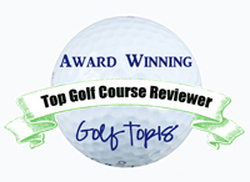 EDITOR’S NOTE: This the second of a series columns devoted to golf travel. 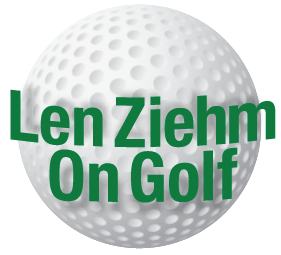 They’ll be posted as news dictates under Travel Destinations at www.lenziehmongolf.com.